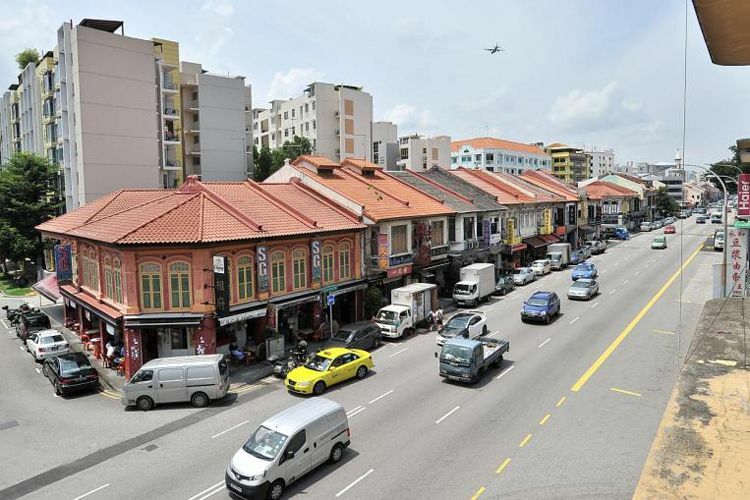 As per the rezoning plans under consideration by the Urban Development Authority (URA) since February 2015, no new residential property projects are to be approved in a major portion of Geylang. A whopping 14-hectare area was proposed for rezoning, in the region bounded by Geylang Road, Guillemard Road , Lorong 4 and Lorong 22 Geylang. The shopping and other commercial properties fronting the Geylang Road stretch, and the sports’ field along Talma Road are excluded from the rezoning exercise. The URA plans to alter the aforementioned 14ha area and transform its usage from residential/institutional prerogatives to commercial activities of varied kind. Though the entire plot ratio is expected to be 2.8, the Geylang rezoning exercise aims to redress some of the problems ascending from the conflicting interests of the various kinds of property owners coexisting in the Geylang area. According to the URA, this “rich and colourful neighbourhood” has a hybrid mix of residents and frequenters. There are shops, offices, budget hotels, small markets, places of worship and many kinds of establishments alongside residential properties. Moreover, it is the prime red-light zone of Geylang. It is then not surprising that off late, as the commercial activity here has increased, so have grievances from inhabitants. For years, this properties located in this city fringe location has attracted property buyers with affordable pricing. However, those with homes in Geylang have been complaining about the high levels of disturbance and noise, bad traffic and various other problems resulting from the ‘red-light’ activity rampant on here. Therefore, the URA has decided that the flourishing of residential interests in the area need be rebalanced in order to minimize friction between the numerous stake-holders of the region, while maintaining the unique character of the area. The Geylang rezoning will not however, affect the existing residential communities. Some residential projects that have already been permitted are likely to continue with their development undeterred as well. But any residential properties in the area under rezoning are to undergo redevelopment; they will be subject to the new ordinances regarding allowed uses permitted for land in this particular commercial zone. Since residential property development is not allowed in the zone, this essentially means that existing residential properties will either not be redeveloped for a while now, or will be replaced with commercial projects when done so. While the URA harbours a clear perspective and strategy with their Geylang rezoning exercise, market experts believe that it will quite a while before any perceptible change in the area’s present character occurs. This is because ownership in this belt is very fragmented, thus undermining the cause of expansive commercial activity. The land values are likely to rise though, as commercial properties typically rake in higher as compared to the residential ones. Majority of commercial investors and land developers are pleased at the prospect of this proposed Geylang rezoning. They believe that Geylang culture and spirit is more disposed to commercial activity than residential usage. The only hitch perhaps is that land parcels in this region are small and any big commercial venture may face difficultly in acquiring adequate land to further their operations. Time will tell what is to become of Geylang in years to come.